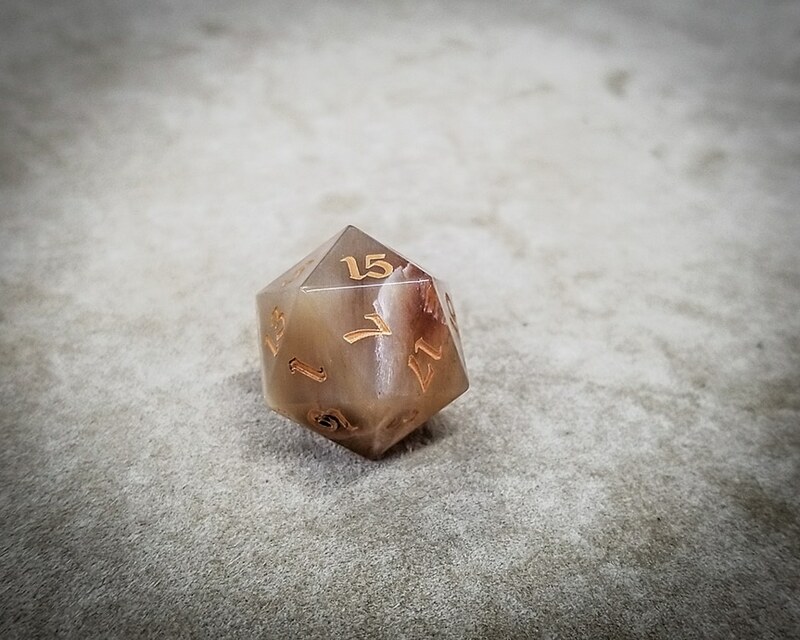 There are very few animals as iconic to the great state of Texas as the Texas Longhorn and, being based out of Dallas, Texas, y’all know we can’t resist making some epic dice to represent those majestic beasts. The Texas Longhorn is a breed of cattle known for its characteristic horns, which can well up to four to six feet and are characteristic of both the bulls and cows. They are descendants of the first cattle in the New World, brought by Spanish colonists, and have a high drought-stress tolerance. 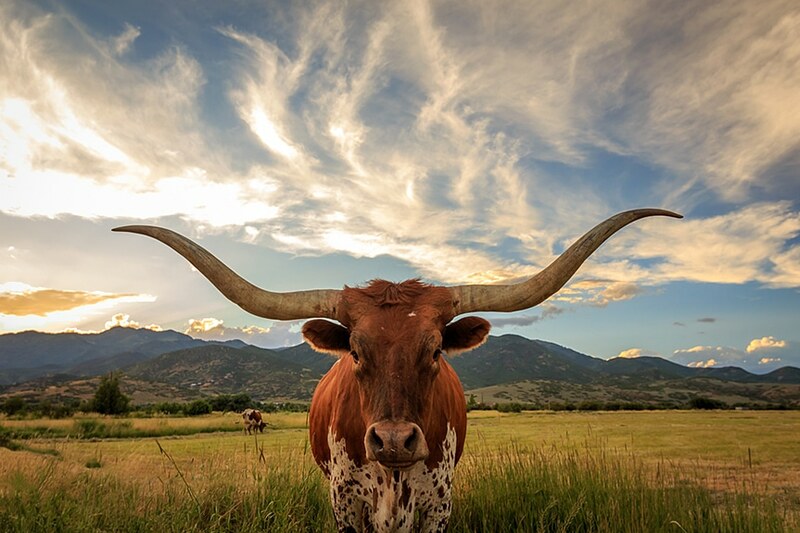 Texas Longhorns are known for their diverse coloring, and can be any color or mix of colors, but dark red and white color mixes are the most dominant. 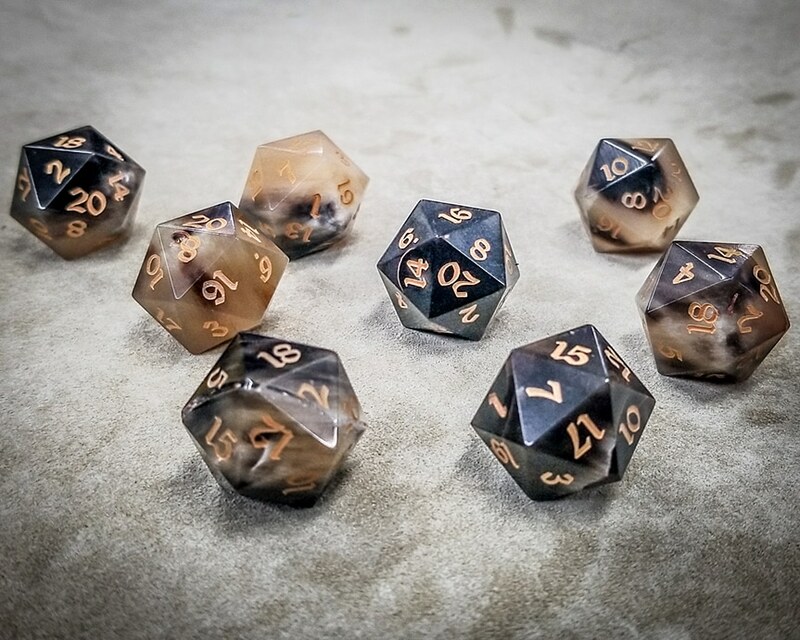 Much like the cattle themselves, our Longhorn dice range greatly in color from a light tan to black. 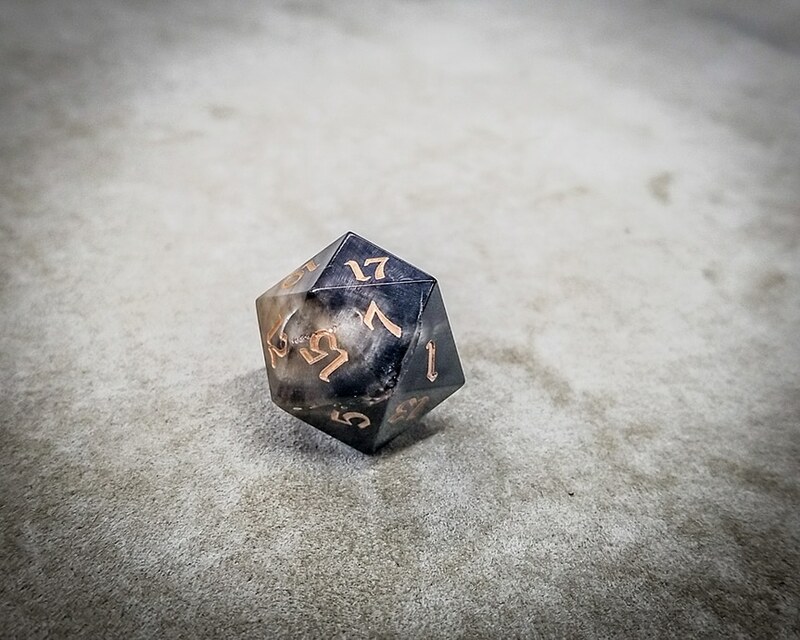 Each die has no finish applied but is instead raw horn hand buffed to a high shine, bringing out the gorgeous qualities inherit to this material. The numbers are not painted on but rather laser engraved like the rest of our dice. The horns do not turn black with the heat but turn a golden orange similar to our American Bison Horn. Due to the wide range of color that these dice can have, we have split our stock into a darker and a lighter variety to choose. The darker tends towards black and darker brown with less of the area made up of light tans, while the lighter will be predominately tan with some brown and little to no black. 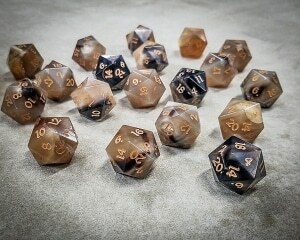 Absolutely stunning dice. I managed to get my hands on one of the darker toned d20s and it is by far the most beautiful dice of my collection. 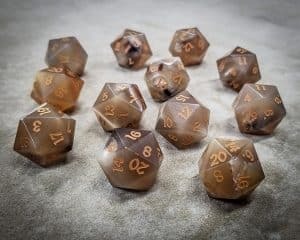 I received my dice within 4 days of ordering so it was super fast and as beautiful as the photos. Would highly recommend. Only bad thing I could find is it was only a 20 and not a set :P.